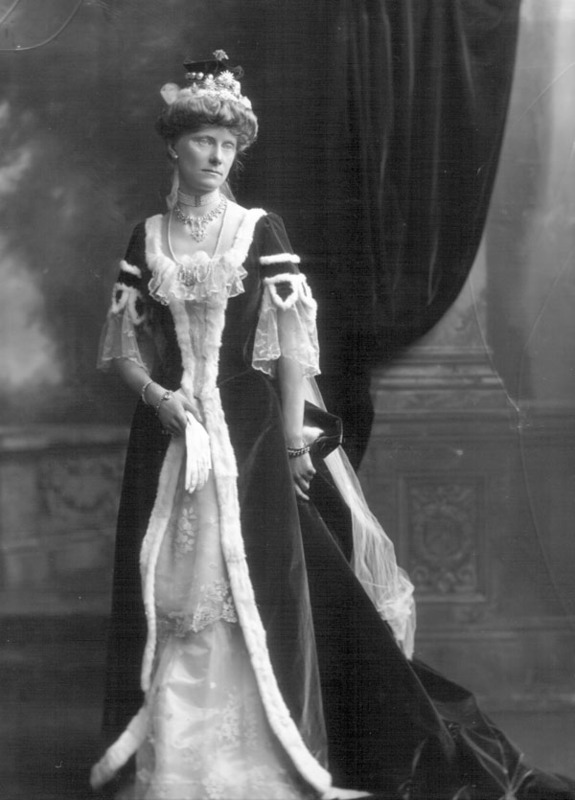 Mary, Viscountess Hardinge, later Marchioness of Abergavenny, née Mary Frances Nevill (d. 1954). Sitter: Mary, Viscountess Hardinge, later Marchioness of Abergavenny, n�e Mary Frances Nevill (d. 1954). Biog: 3rd daughter of Hon. Ralph Nevill; m. 1stly (1891) Henry Charles Hardinge, 3rd Viscount Hardinge; m. 2ndly (1928), as his 3rd wife, Henry Gilbert Ralph Nevill, 3rd Marquess of Abergavenny. Furniture & Props: Painted backdrop x 2; drapery. Biog: Burke's Peerage; The Times, 2 November 1954, p 6d.